Opportunity Captured: Ellen started on Medicare 3 years ago, and has had a Medicare Supplement with the same company ever since. However, she has had 3 price increases in that time and is now paying more than $53 a month more than when she first enrolled in the plan. Ellen is in a great position; she has become familiar and comfortable with how Medicare works and has had a few years to really appreciate the benefits of her current Medicare Supplement Plan F. It makes life so simple by allowing her to see any doctor or hospital with absolutely no co-pays or deductibles- and no referrals needed either! The plan was perfect for her, and she was happy. But after doing some research and finding Clarity Life Ins. 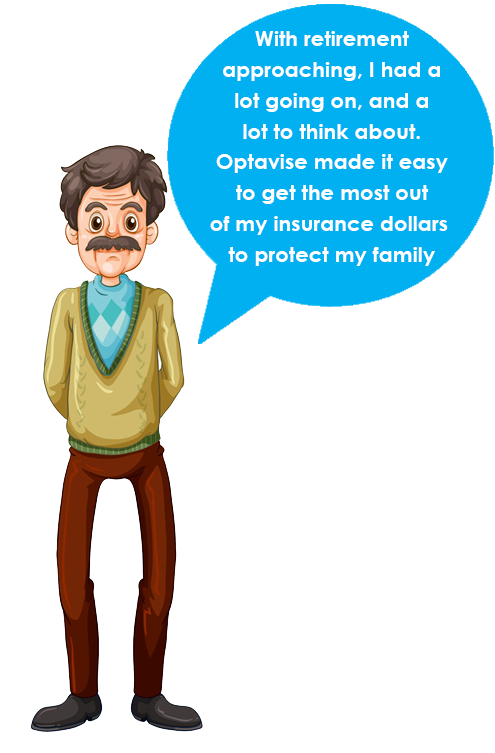 With their help she was able to keep her exact same coverage she’s had for the last 3 years but by insuring with a competing top rated insurance company she saved over $670 a year. Every year! That’s a little more peace of mind. Opportunity Captured : Linda has been on Medicare for almost 7 years. For the first 6 years, she had a Medicare Advantage plan (Part C). 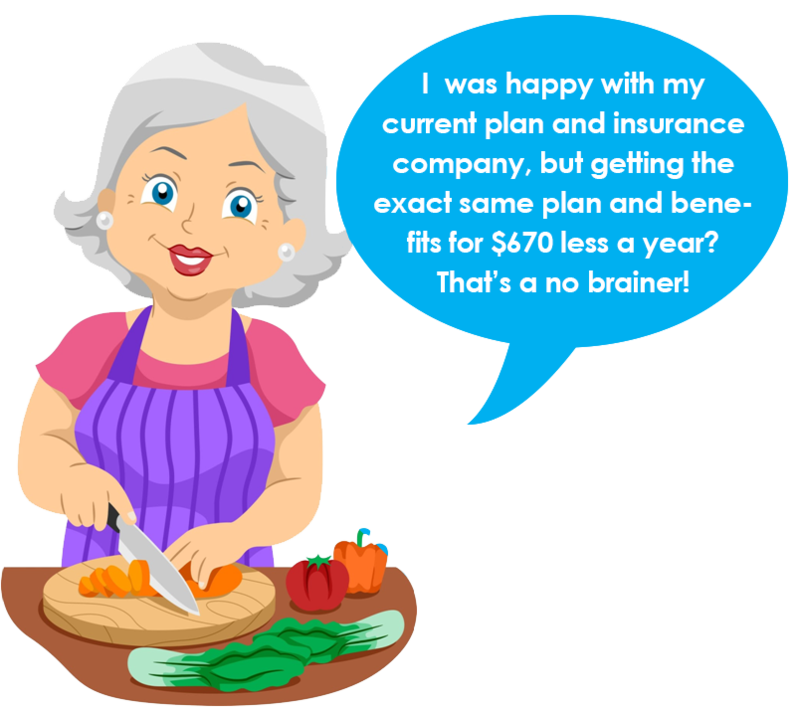 However, at the end of last year she realized she needed to improve her coverage and limit her out of pocket expenses, so she switched to a Medicare Supplement plan. 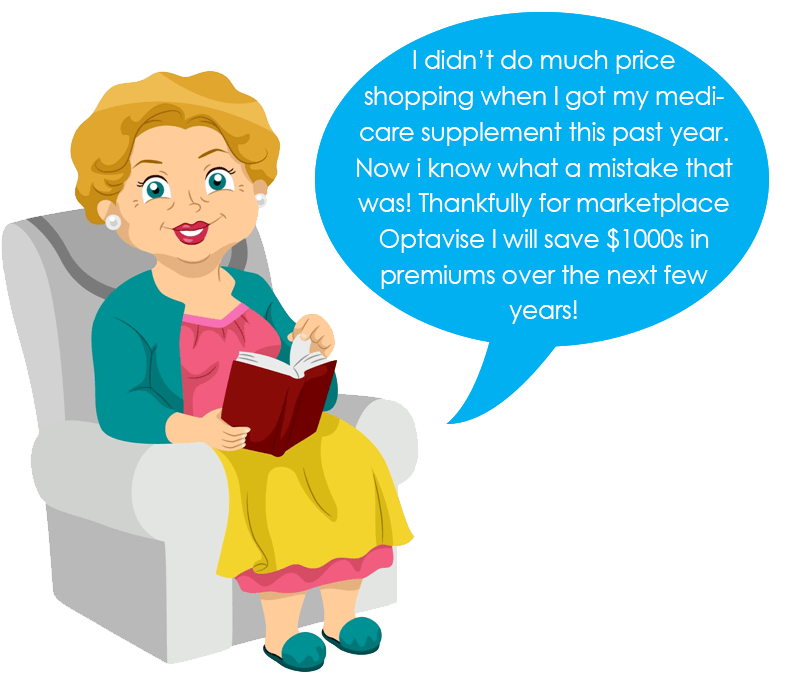 Her new Medicare Supplement coverage has been great, but she didn't do a ton of price shopping at the time she purchased it and was recently informed by a friend that the premiums for the same exact plan can vary up to $100 a month between companies. Clarity Life Ins allowed Linda to see all of the best priced plans from all the top carriers, and most importantly, allowed her to determine her eligibility with all of the top companies before she did anything official. Clarity Life Ins delivered peace of mind, and savings back in her pocket! Opportunity Captured: Eugene retired at Age 67 and has had a Medicare Advantage Plan (Part C) since then. Unfortunately, some of his doctors stopped participating in his plan and, on top of that, his out of pocket costs kept going up and up. 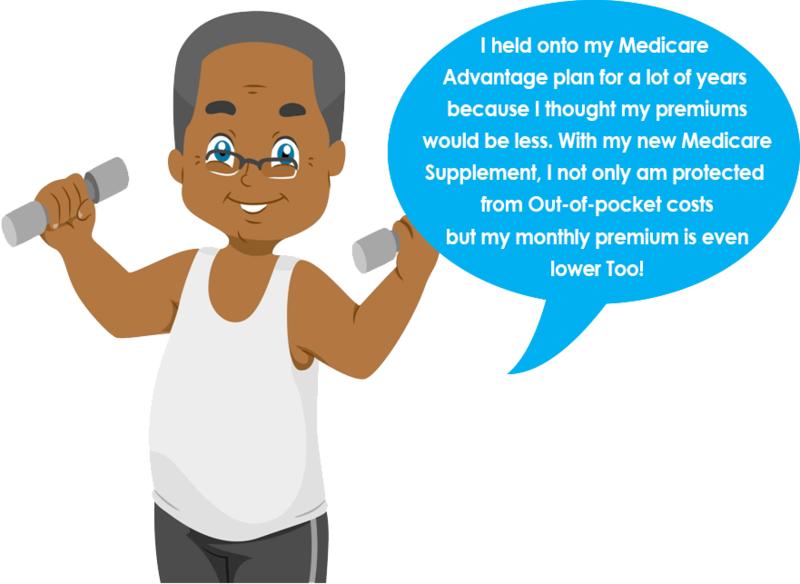 He decided he couldn't risk the potential out-of-pocket costs anymore and needed the certainty of having Medicare Part A and B as his primary coverage combined with joining a Medicare Supplement to fill in all the gaps. 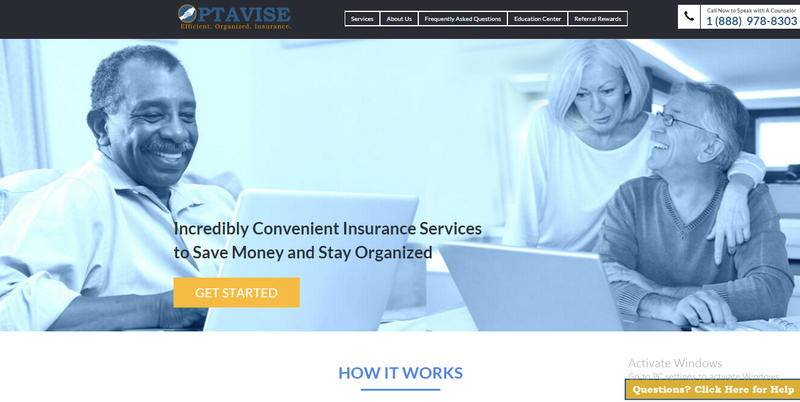 He knew he had to wait until the Medicare Advantage Disenrollment Period (January 1st to February 14th), so he gave his previous Advantage Plan Company a quick call to let them know he would be switching to a Medicare Supplement Plan. 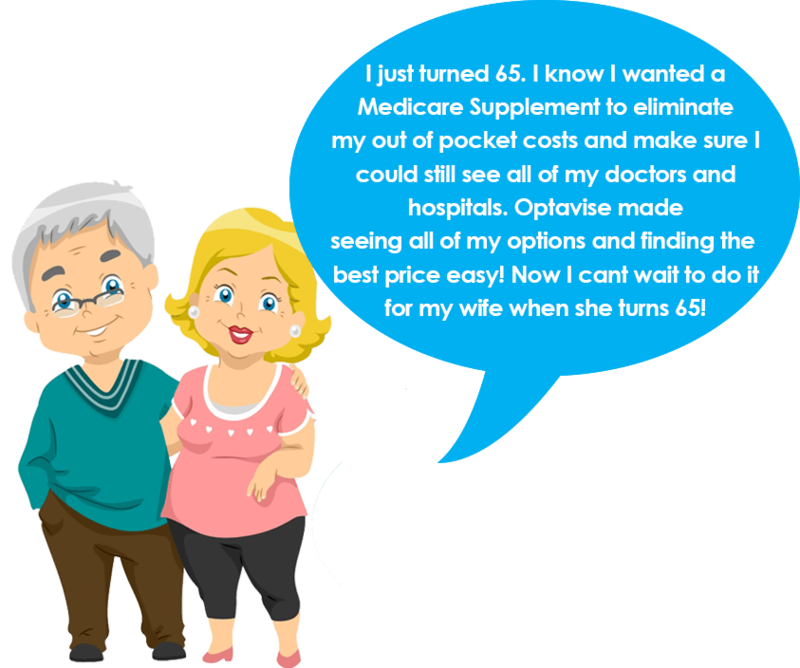 Harold learned that Plan N was an increasingly popular choice for individuals switching from Advantage plans since it offered the key benefit of eliminating his out-of-pocket cost uncertainty, but also had premiums that were extremely affordable, actually even less than he was paying for his Medicare Advantage (Part C) plan! Peace of mind, and savings! That was an opportunity captured! Opportunity Captured: Eugene recently had the pleasure of retiring. He had heard some friends talk about their different Medicare plans over the years but still had not gotten enough understanding to really be comfortable in his decision. After doing some research online and asking his primary physician for his input, he knew the simplicity and peace of mind he was looking for would only come from having the most comprehensive coverage set up- Original Medicare Part A and B and a Medicare Supplement Plan F. Plan F works alongside his primary coverage of Part A and Part B to make sure that he does not have any out-of-pocket expenses for any of his major medical, hospitalization, or diagnostic costs. Fortunately, he found Clarity Life Ins, which made his price shopping, company comparisons, and application process so easy he almost wanted to do it again! In fact, he will get a chance to do exactly that! Eugene’s wife turns 65 next year and he will get a 10% discount on his own premiums as soon as she signs up! Savings Success: As he started to see the finish line of his career approaching, Jim knew he needed to take action to protect his loved ones with a Final Expense Life Insurance policy. However, with everything going on, he did not quite know where to start. He ended up getting drawn in to one of those websites that claims to show you quotes as soon as you enter your personal information. Then bam! Once his personal information was entered, no quotes, and his phone was ringing off the hook for 4 weeks with insurance agents trying to sell him a policy. Eventually he caved and purchased a policy through a local agent that represented just a couple of insurance carriers. However, one day as he was enjoying some time online he came across Clarity Life Ins Insurance Solutions. After some easy reading of Clarity Life Ins’s policy education and customer care process, he saw that he could get the exact same policy that he had for $65 less every month. With a soon-to-be decreasing income in retirement, that was precious. Savings Success: : Elizabeth is single and wanted to do something for the most precious people in her life- her children and grandchildren. She knew that leaving a death benefit would really help her family tie up any loose ends after her death, and most importantly, leave some money left over for her grandchildren’s education. But Elizabeth, like many people, has had some terrible experiences inviting stranger insurance agents over to her home. She got the feeling that their concern was more on pressuring her into a policy than on educating her about her options and finding her the best price. Fortunately, a friend referred her over to Clarity Life Ins where she could learn and review material at her own pace and comfort. Then when she was ready, she could see all the best prices for the policy she was interested in, spoke with a counselor for some last minute guidance, and was able to apply completely over the phone. Her issued policy arrived at her door in less than a week. Mission accomplished comfortably. 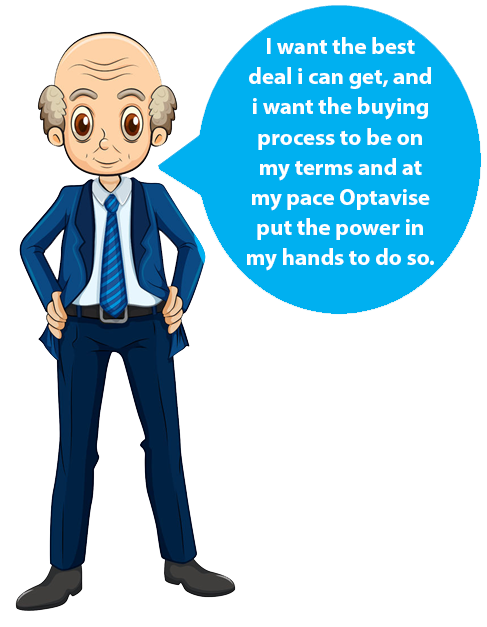 Savings Success: Jerry prides himself on being able to get the best deal. Throughout his life, for any of his important purchases, he did the research, shopped around, and took action. However, when he started his search for Final Expense Life Insurance, he noticed that it was unusually tough to find the best prices for the policy he wanted- and he knew better than to have a salesman insurance agent come to his home. For some reason, everything he was seeing made it seem like the prices of policies were intentionally being hidden. After some research on why this might be, Jerry found Clarity Life Ins and ended up saving over $800 a year on his policy from a top carrier compared to some of the other quotes he was seeing. Jerry, like always, got the best deal once again.